Welcome to Northern Transit Interlocal! Please click on a route below to learn more. We’re looking forward to seeing you on board! Northern Transit Interlocal (NTI) and partners Toole County Transit, Glacier County Transit and Pondera County Transit were born in 2007 and have provided over 50,000 rides since its inception. 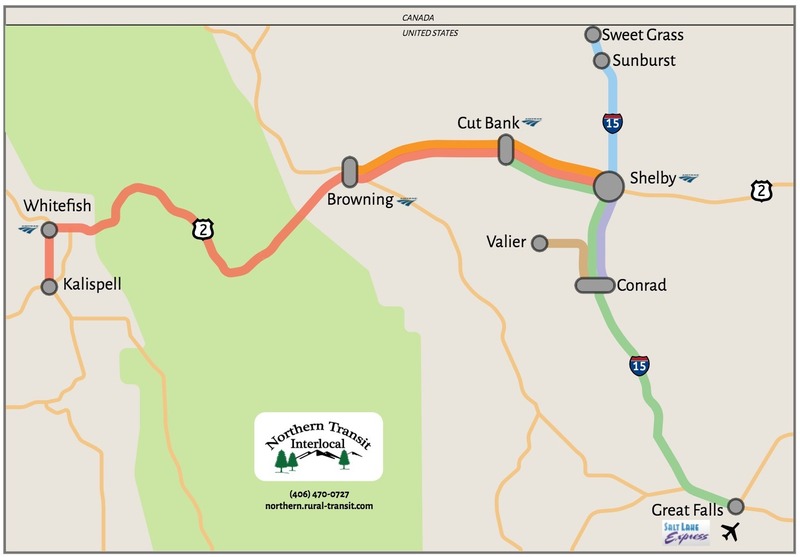 NTI and its partners are a local government organization that is funded primarily by the Montana Department of Transportation annual grants. Local Governments, Corporate Donations and passenger donations fund our no-cost transportation to the general public. NTI has grown considerably since 2007 and continues to improve upon the service it provides our local communities. We want to thank you for riding with us and visiting our page. If there is anything we can do to assist you please feel free to call or message us anytime. Copyright © 2019 Northern Transit Interlocal. Powered by WordPress and Stargazer.